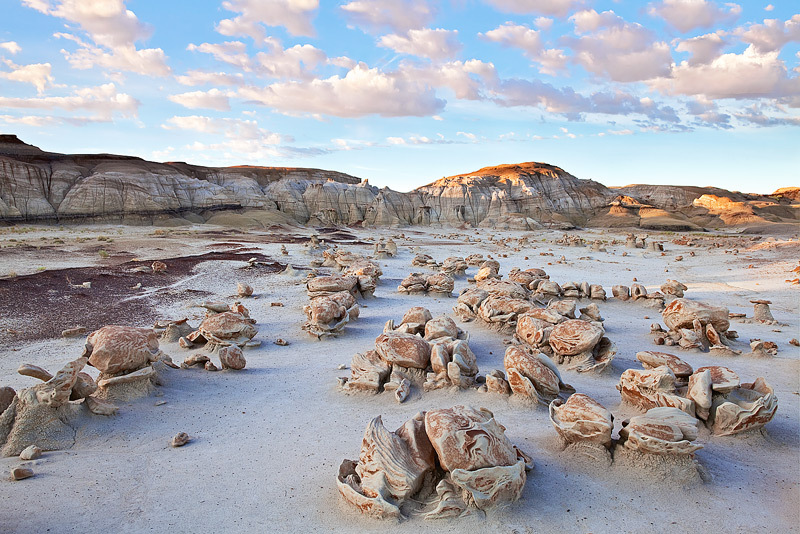 The Bisti Badlands of New Mexico is place of unique and austere beauty. Pictured here just after sunrise, these otherworldly rock formations are known as the "cracked eggs" and represent a small part of this largely unexplored wilderness. Photo © copyright by Michael Greene.